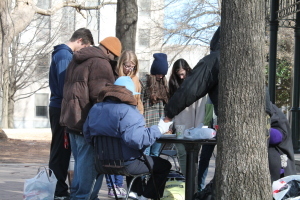 Several times a year, our teens, along with a number of adults go to the homeless and provide food and clothing, especially warm clothing in the cold season, and encouragement. Many of them have been hit with circumstances in life that have taken their jobs, families and friends from them. The response varies, but most are very kind in their interactions with our members. As so often is the case, all the benefits of serving are not limited to those being served. It often builds greater appreciation for those serving for the blessings they have. Very often a visit to the emergency room by a young child is filled with pain and fear. Our ladies have made and stuffed thousands of little bears. They are provided to the ER at Shelby Baptist Hospital. 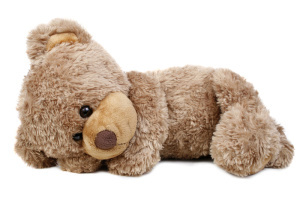 It is amazing the calm a little bear can bring to a child at times like this. Touching the lives of little children is a very special opportunity to share the love of Jesus. The calls and letters from their families always touch our hearts. We want to reflect God’s love and the teachings of Jesus in our community and surrounding areas. Opportunities abound to have a role in serving. 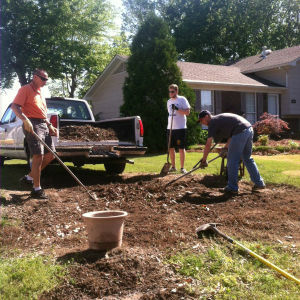 From assisting with major relief efforts to painting a house to mowing a yard, our members are hands-on in helping others. From young hands to our retired, many are involved. Assisting small congregations, providing aid to homeless and orphans and other worthy projects are all part of what we seek to do. Financial participation is certainly a part of it all.